Having bought YouTube, Google wanted to show brands that it could be a serious proposition for their advertising, delivering large, specific audiences, especially when teamed with Google’s search technology. A show-reel for use at a number of expos and events, showing that YouTube was about more than ‘dogs on skateboards’ and had ‘real’ value for brands. It had to be translated to 8 languages. Using only footage sourced from YouTube, we devised a format akin to a galaxy of video to display the wealth of content available, using themes of Sport, Family, Travel Fashion, etc as a means of creating coherence. 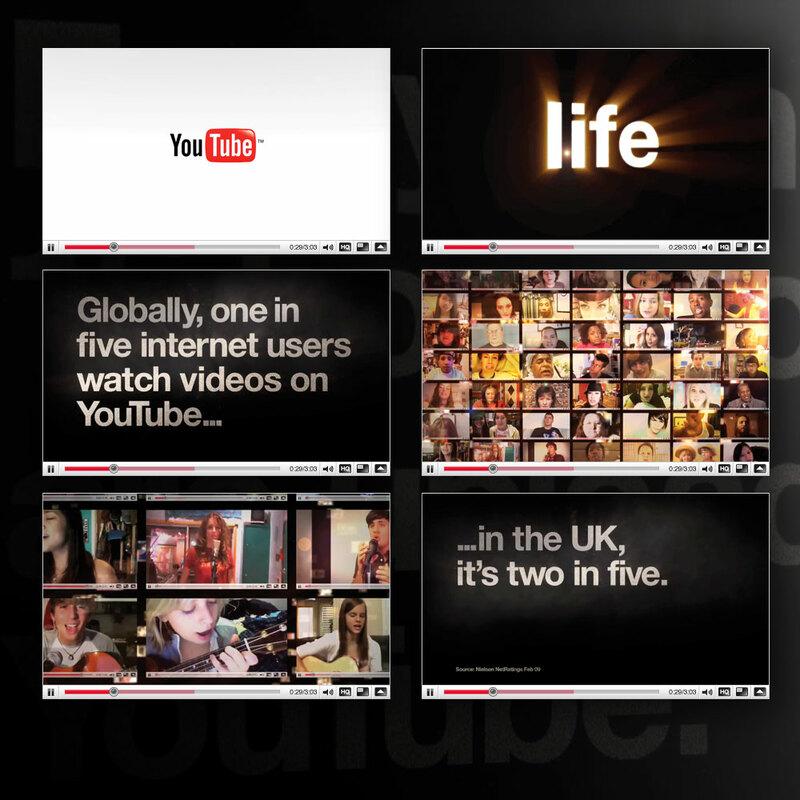 Set against this were some of the hard facts of YouTube, both globally, and for the particular territories. Having decided on an initial theme, a rough story board gave direction for sourcing a vast quantity of video from YouTube (over 300GB). Key pieces of content were chosen to create the supporting arc for the story, and a rough bed was edited together using Final Cut Pro. Once the general pace of the piece was set, After Effects was used to create the many body of the work, using the ‘Form’ particle system to create the majority of the background graphics.